So part of why I’m not around the blog world much is that I want to desensitize myself to stimuli that tend to bother people who are actively trying and struggling to have a child: words, stories, other people’s beliefs and actions, all of it. I want to reprogram my brain, basically, and a lot of that is distance and critical thinking, and not feeding the mental feedback loops. Sometimes though, I can’t help my reaction and I thought this case was mostly funny. We can BEARly contain our excitement! As valued members, we wanted to bring you this exciting news first! Adult female panda, Er Shun, was artificially inseminated yesterday as part of a planned collaborative breeding program! Pandas only ovulate for up to three days out of the year, making breeding for this vulnerable species extremely tricky. In mid-March, Er Shun entered her breeding cycle and the animal care team had been monitoring her hormone levels daily, waiting for the precise time to artificially inseminate her with the help of a specialist from China.​ The success of the procedure will be confirmed by ultrasound and could take several weeks since pandas experience embryonic diapause – delayed implantation in the uterus. Er Shun is being cared for by a comprehensive team in her custom den in Panda Passage’s back of house area. ​(there’s a video of the procedure if you are curious). First thought: Why are you sharing this she hadn’t even taken a pregnancy test! Best of luck to Er Shun and all involved. Wow, so much pressure on that poor panda! Nothing worse than being on baby watch. Hopefully it works. I love panda bears. Oh man! Triggered by a panda... Those infertility filters just never shut down. I'm with you-- why sister until they poor bear has passed the long wait? And the thought of someone videotaping the procedure makes me cringe. Good luck, Er Shun! Hahahha. Yes, making baby pandas is quite the procedure. I have seen a documentary on it at our science centre. Fascinating, really. 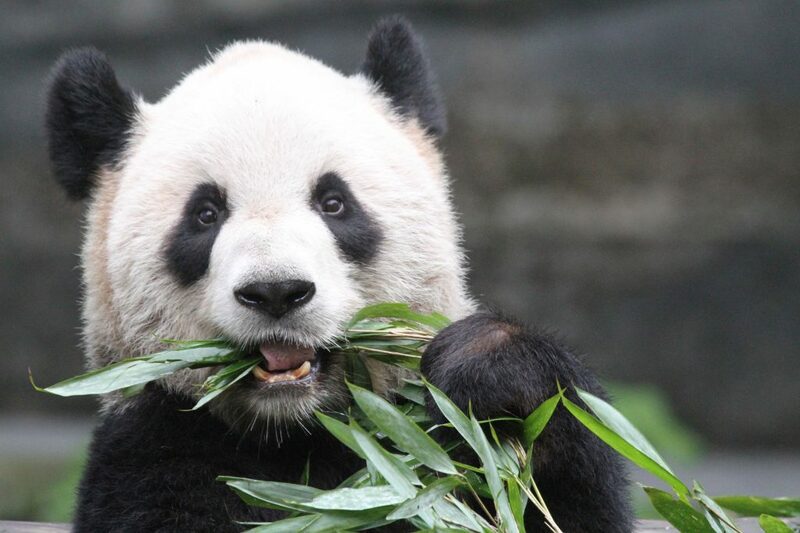 Panda have built in low fertility, which is not helpful with maintaining endangered species. Also learned things such as 50% of baby pandas born in captivity used to die for reasons no one could figure out, until someone observed mothers massaging the baby's belly. Baby pandas aren't strong enough to poop on their own, so they need to be massaged to poop, otherwise they die. This is why I will miss your blog! I broke out in laughter as I had the same thought! Hopefully pregnancy announcement in a few weeks! I'm sure they will broadcast it all over if it happens; silence will mean it didn't. I was once triggered by a - as the ranger put it - barren lioness. So I get it!